The New England Fishery Management Council approved Tuesday a more conservative formula used to set catch limits for Atlantic herring. The formula, known as the acceptable biological catch, will more explicitly take into account herring’s ecological role as a fish eaten by bigger fish and marine birds and mammals. The Pew Charitable Trusts, a nonprofit based in Philadelphia, estimates the new rule will keep an additional 31 million pounds of herring in the water over the next three years. Council members also banned commercial fishermen from using large fishing nets called mid-water trawls within 12 miles of New England’s coastline. Atlantic herring are a small, schooling fish primarily caught to be used as bait for tuna and lobster. A recent stock assessment shows the population has reached historic lows over the past five years. The changes to the management plan have been submitted to the National Marine Fisheries Service for final approval. Federal fishery regulators are expected to vote Tuesday at a meeting in Plymouth on proposed changes to managing Atlantic herring. The New England Fishery Management Council is considering an amendment to the herring management plan that would establish a long-term control rule, which functions as a formula for setting annual catch limits. The formula would more explicitly account for herring’s role in the ecosystem as a fish eaten by other fish, marine birds and marine mammals. The Sustainable Fisheries Coalition, a group of commercial fishing companies, is pushing for just a slightly more conservative version of the current management plan. Right now, catch limits for herring in the region are set every three years. The coalition supports allowing the council to use the control rule to set quotas every three years or annually, depending on the fish’s population, for more flexibility in applying the rule over time. The coalition said in a statement that approach will help the herring population grow without causing economic harm to fishing commuities. However, recreational fishermen a part of the Rhode Island Saltwater Anglers Association want herring’s ecological role to be more of a priority. The council is also expected to address concerns about depleted populations of Atlantic herring in local waters. The saltwater anglers association and environmentalists claim commercial fishermen are large contributors to the low numbers of herring in the water. They point to large nets that are towed behind commercial fishing boats, called mid-water trawls, as the reason why. The saltwater anglers association wants the council to ban the nets within 25 nautical miles offshore. Environmental advocacy groups, including the Pew Charitable Trusts and the National Widlife Federation, are advocating for an even stricter ban of 50 nautical miles. The Sustainable Fisheries Coalition doesn’t want to see any new buffer zones. The group said there is no scientific evidence that current regulations are causing depletion of the herring population and that environmental conditions determine how many baby fish enter the population each year. 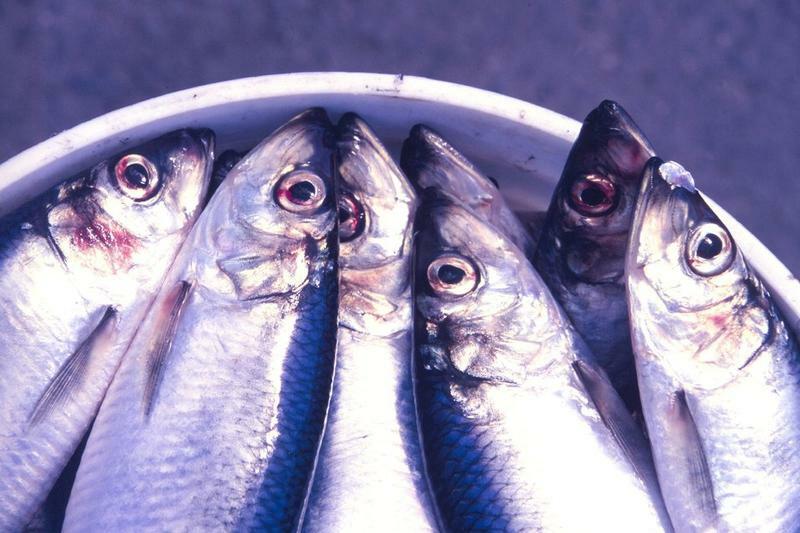 The National Oceanic and Atmospheric Administration recently cut this year’s herring catch limit for Southern New England fishermen due to a stock assessment that shows the population is in decline and that their numbers have reached historic lows over the past five years. Atlantic herring are a small, schooling fish primarily caught to be used as bait for lobster and tuna.